Located on a private, large cul-de-sac lot (0.83 acres) in Ford's Colony maintenance free Nottinghamshire, this home overlooks 11+ acres of wooded nature preserve and protected wildlife habitat. Ideal spacious open floor plan. 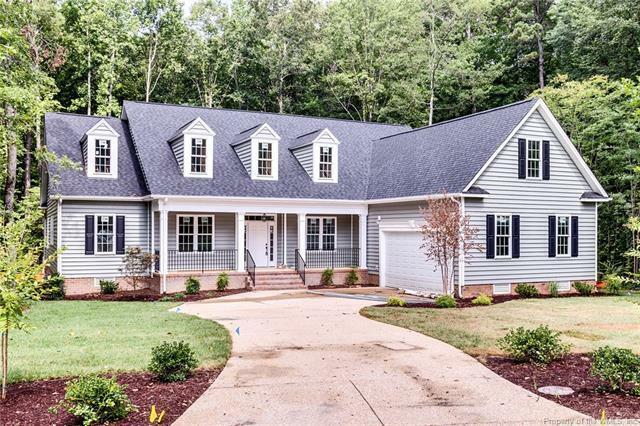 One floor living with split bedroom floor plan, formal dining, office, great room with fireplace & coffered ceilings, inviting sunroom, kitchen with breakfast nook, walk in pantry, & large center island, and finished room over garage - could be 4th bdrm. A must see for anyone buying in Ford's Colony. Comparable home featured in virtual tour. Under construction with customization still available. In Nottinghamshire, the good life is maintenance free! In this luxurious âcommunity within the community,â you never cut grass or weed, you never trim hedges. You just relax and enjoy your beautiful home and spacious yard.